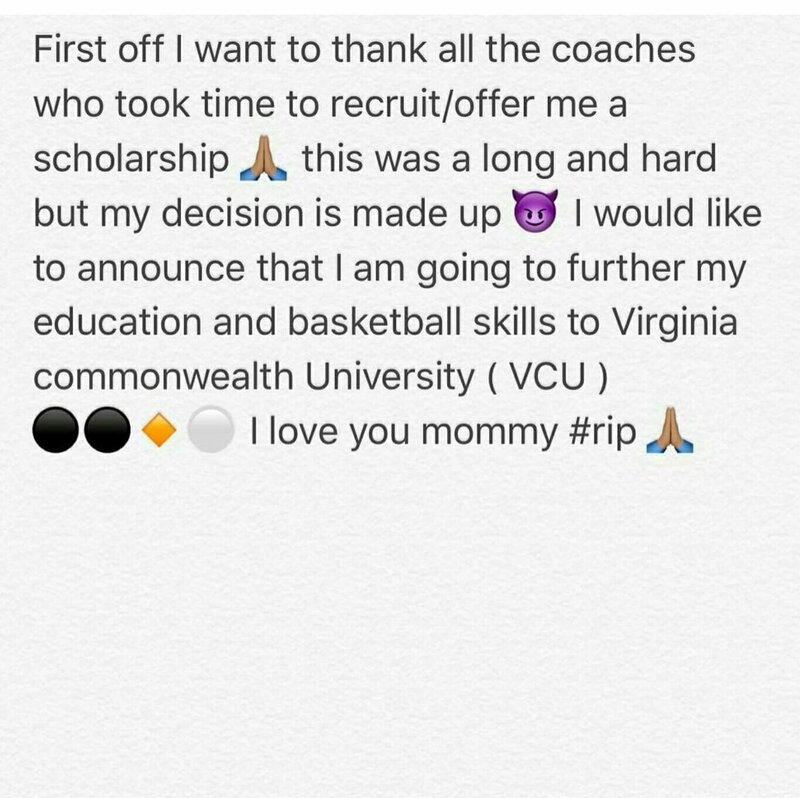 The future of VCU basketball got even brighter tonight with the announcement of the Rams first commitment of their 2018 class. Kevin Easley, a 6’6 4-star guard/forward and 247Sports.com’s No.100 player in the 2018 class, announced via his Twitter account tonight that he would be committing to the Rams. The Indianapolis native visited VCU this past weekend, taking in the Rams dismantling of La Salle and pulled the trigger for the black and gold shortly after. Easley is just a high school junior but is already a hot name, holding offers from high-major home-state schools Indiana, Purdue and Butler, among others.